Hardwood Industries | Hardwood Flooring and Accessories. 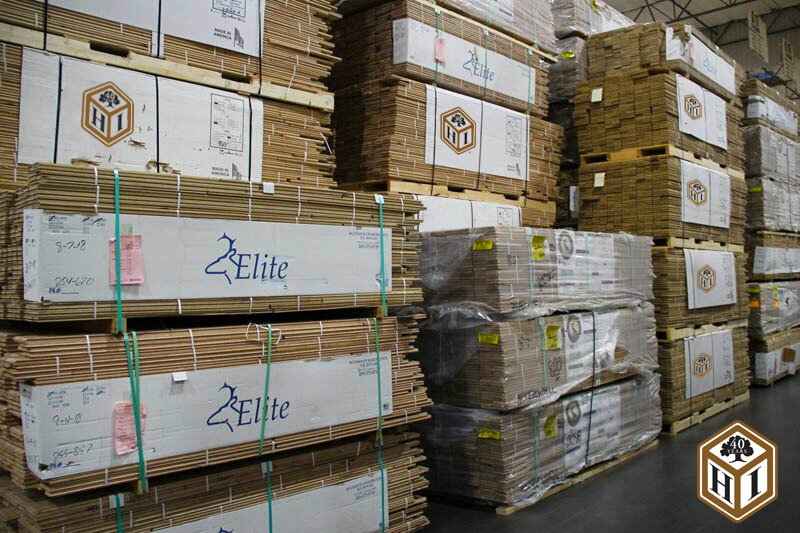 As a full line distributor of solid-strip and plank flooring, Hardwood Industries offers a variety of hardwood species in several grades. We also have available all the necessary supplies (fasteners, abrasives, and finishes) for complete installation. No other choice provides the warmth, beauty and value of hardwood flooring. Multiple options of hardwood species are available and the various grades define the feel of the design of an home or office interior. Applying finishes and stain can accentuate or modulate the characteristics of the woods natural beauty to further increase the design options available. 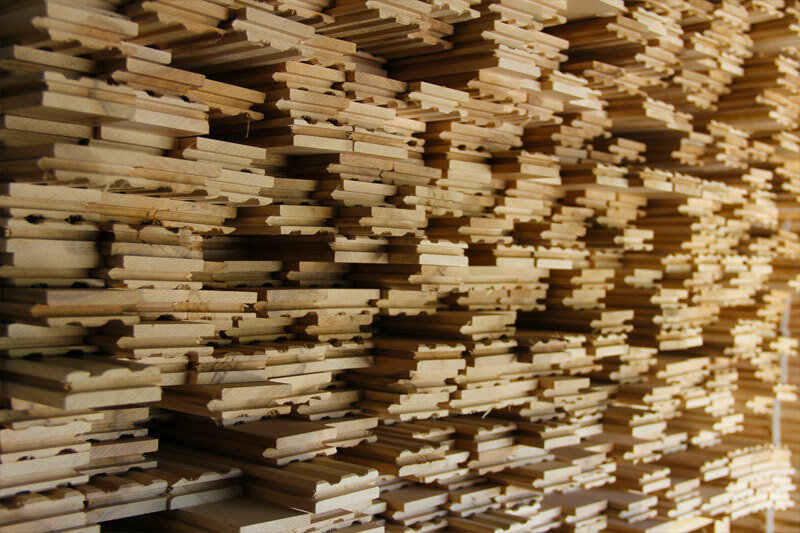 We stock all grades in a variety of widths including: Red Oak, White Oak, Maple, Hickory, and Brazilian Cherry. Walnut, Cherry, Birch, and Beech are also available in limited quantities among the widths offered. Standard strip flooring, which has a 2-14" face width and a 3/4" thickness, is readily available. Face widths of 4" and wider are referred to as “Plank" flooring, and are now stocked in 6" and 8" widths with our new Rainy River Wide Plank Flooring product line. Other types of plank flooring are available by special order. Grades range from “Clear" which is free of defects to the common grades, which reflects all the character of the species. The right flooring grade selection is dependent on the overall feel of the desired interior design of the space. Higher grades are usually installed in the more formal interiors, as common grades are more appropriate in country or rustic interiors. Rainy River Wide Plank Flooring is a new craftsman grade long length flooring product from our friends at Lacrosse Hardwood Floors. A solid wood floor at economical pricing!